The world outside is a wonderful place to be, especially if you like to explore. Hills, valleys, mountains, forests, glades, caves - you name it, it's out there to be discovered and enjoyed. The downside is that the great outdoors isn't always particularly clean. In fact, given the right weather (or the wrong weather) it can be downright filthy. As such, the gear that you take with you to help you get the most of your walking, climbing and camping will often return home coated in a layer of grime. What's more, as well as being decidedly unattractive, this build-up of dirt can actually reduce the performance of your technical gear, including its waterproofing and breathability. Plus it can make stuff smell. In these videos, Country Walking's gear editor Andy Cremin shows you how to bring your kit back to its best. 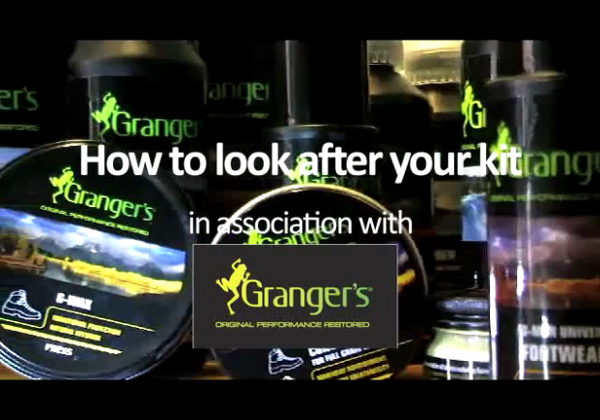 Using products from the vast Grangers range of soaps, cleaners, proofers and potions, Andy demonstrates that with a little bit of time and effort you can keep your outdoor gear looking shin and new, and more importantly, working as it should.